The Glasgow Academy has become the first independent school in Scotland to purchase their own 2018 model Koro® FIELDTOPMAKER® (Koro® FTM®) with the patented Universe® rotor from Campey Turf Care Systems. The demands of maintaining pitches for a school that offers football, rugby, hockey, cricket and athletics on eight pitches across four locations as well as a separate sand and water based astro pitches has its own unique issues when it comes to renovations with a short 10-week window at the end of the school year. 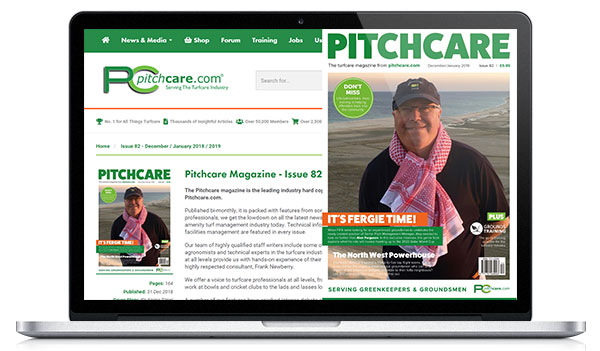 For head groundsman, Robert Cheape, there is very little crossover time during terms with sports seasons often overlapping. His team of five also have the main school and prep school grounds to maintain and the decision to bring in a new Koro FTM® was to provide flexibility and choice to renovations. "We have multiple sports with very little downtime between them," he said. 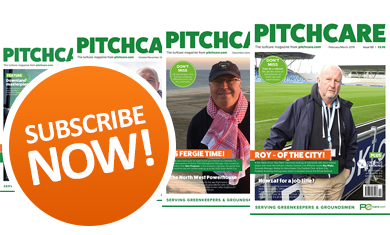 "As one season finishes the next season starts and that was one of the reasons behind getting our own Koro®, because we wanted the flexibility to manage the pitches in a better way. 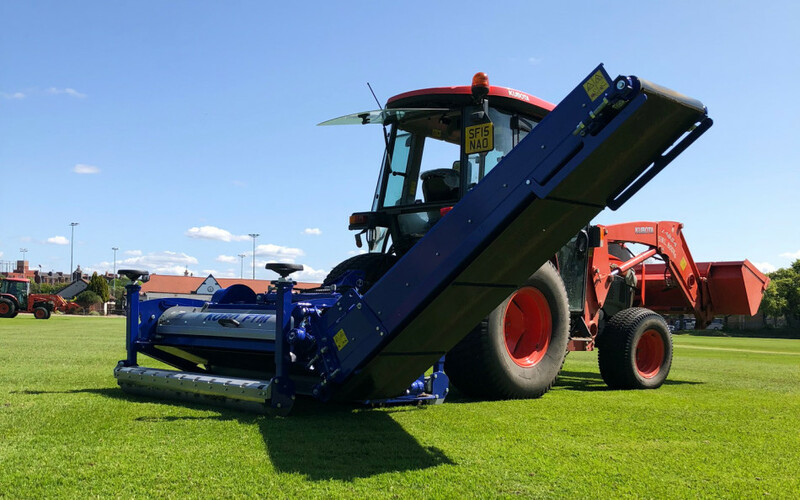 "In our situation being able to vary to what degree we use the Koro FTM® on the pitches is massive and directly tackles the issue of short periods of downtime. "We've got the Universe® Finesse 5mm blades on it and the material that's been coming out with it has been unbelievable and the organic matter it's been ripping up is very impressive, especially when we compare it other machines we've used in the past, it's far superior to everything else. "I was very impressed with it then but even more so now with the new model because of the flexibility when it comes to the different blade sizes on the Universe® rotor because it gives you the option to use what you need. "I'd love to "Koro" off the pitches completely but because of the overlap of the various sports we just don't get the time, it would mean taking some time off of cricket, so it would be them who would suffer, and although they are flexible there's only so much room to manoeuvre." 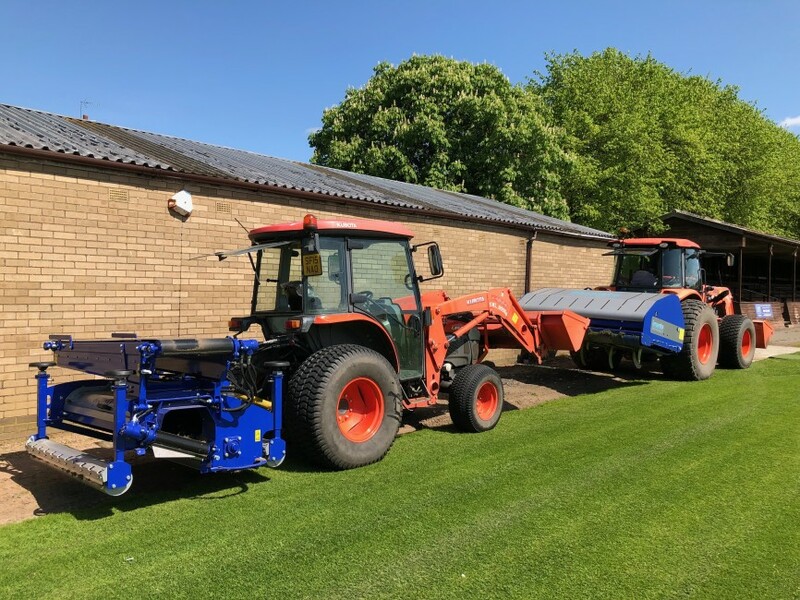 The machine was first used on the site in June 2018 and that was the first time any Koro FTM® had been used on the school grounds. Despite being aware of the machine through various magazine articles and demonstration days hosted by Campey, Robert had never used the machine. With the help of Campey product specialist, Richard Heywood, during the installation, Robert and his team of seven quickly became familiar with the machine, and the man who has worked at Glasgow Academy for 30-years is already very impressed with the operation and results. "I've been aware of the machine for a good few years now," he said. "I've seen it in all the magazines and I've seen it at a couple of demos, one at Stirling Albion in 2016 and one in Fleetwood four or five years ago and Greenock Morton. "We've never had the machine working in our place before, so this is the first time it's been used. We try to keep all of our work in-house but occasionally for the bigger jobs like primary drainage we use other contractors but generally, we do it all ourselves with machines like the ShockWave 220. "We got a good demonstration from Richard Heywood when he delivered the machine, but I think by using it more we'll build the familiarity with it and be able to use it to greater effect on the site." 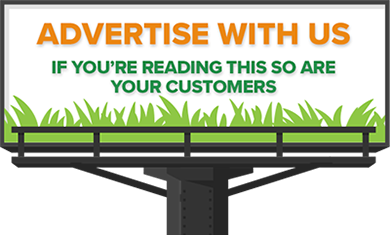 The weight and balance of the Koro FTM® have been analysed resulting in a lighter, steadier ma-chine with the redistribution of weight using a removable 100kgs meaning a much smaller tractor can be used to run the machine. This is because the centre of gravity has been shifted towards the tractor making it easier to lift. Even when the weight is removed the machine still has improved balance against previous models.